Censors all the blood and gore in the so it matches the content of the Japanese Cero D release. 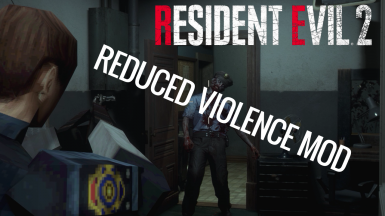 RE2 is a very violent game so I made a mod which makes it less violent. The mod makes the content of the game almost identical to the Japanese Cero D release. Elliot doesn't lose his legs. I know there's one very small flaw in the mod where the game ends up using the wrong animation during the optional cutscene where you investigate the cop killed by a licker, but otherwise, this mod should make the experience the same as playing the Japanese release. Note that some scenes are still very brutal and only barely censored (like the scene with Ben).